An informal meeting to celebrate the 95th birthday of Professor Tran Van Giau, People's Educator, and Labor Hero was solemnly held by the HCMC Social Science Committee Wednesday. Present at the meeting are Vice State President Truong My Hoa, Ho Chi Minh City People’s Council Chairwoman Pham Phuong Thao, Chief of the HCM City Party Committee Ideology and Culture Department Phan Xuan Bien, old veterans, scholars, professors from institutes and universities and a large number of his former students. President Nguyen Minh Triet, Mr. Truong Tan Sang, Politburo and Central Party Standing Secretariat member sent him bouquets of flowers with notes of wishes on them. 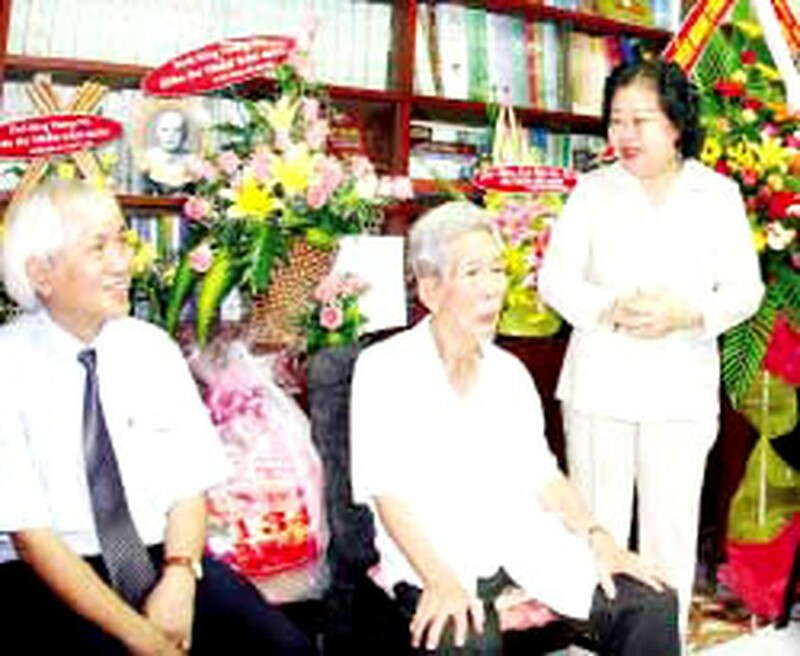 The Ho Chi Minh City Party Committee, People’s Council, People’s Committees, Fatherland Front Committee and other state agencies, organizations and unions also sent him bouquets of flowers and warm greetings on the occasion. The Sai Gon Giai Phong newspaper delegation led by Deputy-Editors-in-Chief Tran Van Tuan paid a visit to and gave him a bouquet of flowers, wishing him a happy birthday. At the birthday gathering, Vice State President Truong My Hoa wished the professor good health and a long life to go on contributing to the nation’s development.